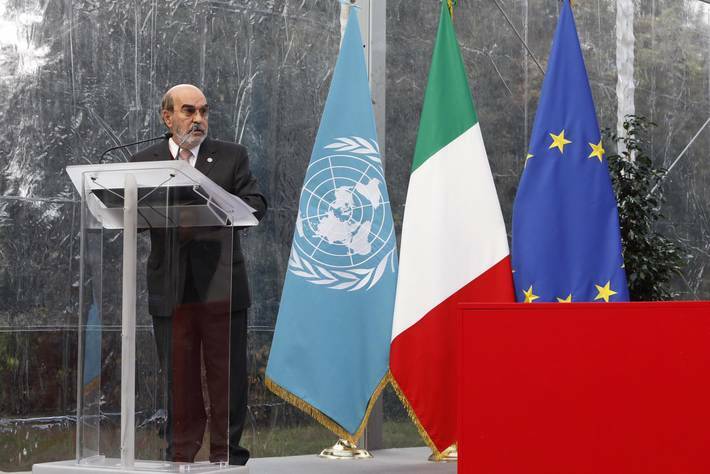 NEW YORK, A major focus on boosting the agricultural sectors and promoting rural development in Africa is needed to ensure a better future for the continent’s youth who, if given the chance, can be the drivers of development, FAO Director-General José Graziano da Silva said on Monday at the inauguration of the Africa Centre for Climate and Sustainable Development. He also emphasized that global hunger rates are rising in various parts of Africa. “If we don’t step up our actions in the Sahel we will not achieve the Sustainable Development Agenda and the Zero Hunger goal by 2030,” he said. The Africa Centre for Climate and Sustainable Development was established by the Italian government in partnership with the United Nations Development Programme (UNDP) and FAO. It will facilitate the much-needed exchange of information and coordination to increase efficiencies and build synergies across Africa, develop and scale-up innovative solutions for sustainable development and implement the goals of the 2030 Agenda and Paris Climate Agreement. Achim Steiner, the UNDP Administrator, noted the new center was conceived thanks to an Italian initiative at the meeting of G7 environment ministers in Bologna in 2017 and offers a “practical foundation” for speeding up responses to the known challenges of the future. Several ministers from African countries attended the inauguration and participated – along with Cardinal Peter Turkson, prefect of the Vatican’s Dicastery for the Promotion of Integral Human Development, and Ibrahim Thiaw, the UN Secretary General’s Special Adviser for the Sahel – in a round-table discussion. This explored how the Center can contribute to Africa’s needs and how G7 countries can steer their cooperation to contrast environmental degradation and promote sustainable economic growth in the region. The Italian government has set up a trust fund for the Center, and one of its first tasks has been to support initiatives promoted by the United Nations Secretary-General for sustainable development in the Sahel region.